Frank Buffalo Hyde's approach to life and his work is refreshingly honest. 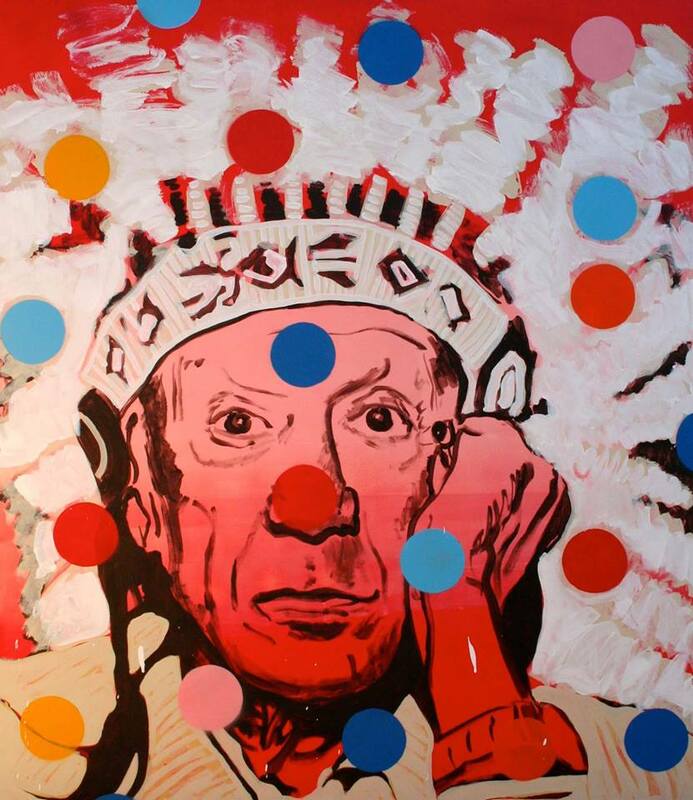 In our interview he explains the multiple layers of his existence, growing up in two worlds, on and off the reservation, and how this opened his mind and amplified his awareness and reaction to American society and culture. This interview is truly a revealing and sincere look at the artist Frank Buffalo Hyde. I am proud to share his story with you. Music featured on this podcast by the following artists: 2Pac, The Clash, DJ Krush, The Legendary Shack Shakers, Quannum MC's, Freddie Cruger and Guru. Frank Buffalo Hyde traces his heritage to the Nez Perce and Onondaga people, Hyde is recognized for breaking through the boundaries commonly placed around what is considered Native American art. His work confronts stereotyping of culture and informs the viewer that they are participants in the conversation. He is defining himself as a Native American without being a stereotype and dealing with what he calls the "fragmented contemporary life" of a Native U.S. citizen. More about Frank Buffalo Hyde and his work on his Website. Follow Frank Buffalo Hyde on his Fan Page.